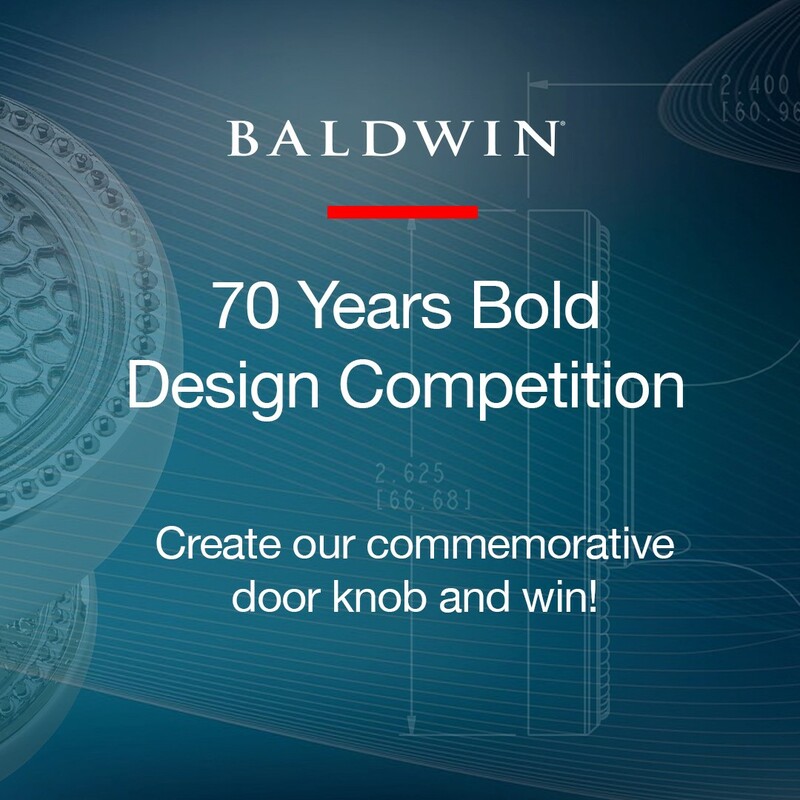 Baldwin Hardware is celebrating our 70th Anniversary by unveiling a Commemorative Knob designed by a talented architect or designer. Could the winning design be yours? All architects and designers are encouraged submit their designs for a chance to win. The winning design will be unveiled in January 2016 in conjunction with IBS/KBIS, and the winner will receive $10,000 in Baldwin product, a trip to Las Vegas to celebrate with Baldwin and unveil their winning knob AND a trip to Beverly Hills to attend Baldwin’s 70th Anniversary Gala in November 2016. Three honorable mentions will each win $2,500 in Baldwin product. From September 8, 2015 through October 30, 2015, interested designers and architects can enter the competition by uploading their design at http://www.baldwinhardware.com/design-competition. Put those bold ideas on paper and enter today!